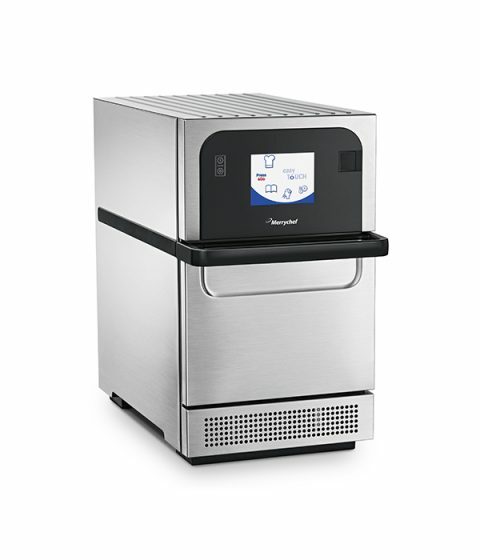 The Merrychef Eikon E2s Classic – Standard Power with Rapid Cooking Technology is ideal for cafes, coffee shops, snack bars and suppliers of crispy snacks. This is the standard 1000w/2.2kW version of the combination oven, which is also available as a high power 2000W microwave version. There is a coloured finish Trend version available in addition to this classic stainless steel finish. The Eikon e2s Classic has a range of accessories that increase the flexibility of the oven, including flat cook plates, guarded paddles, sold base baskets and griddle cook plates.